Tree the people. Great site. 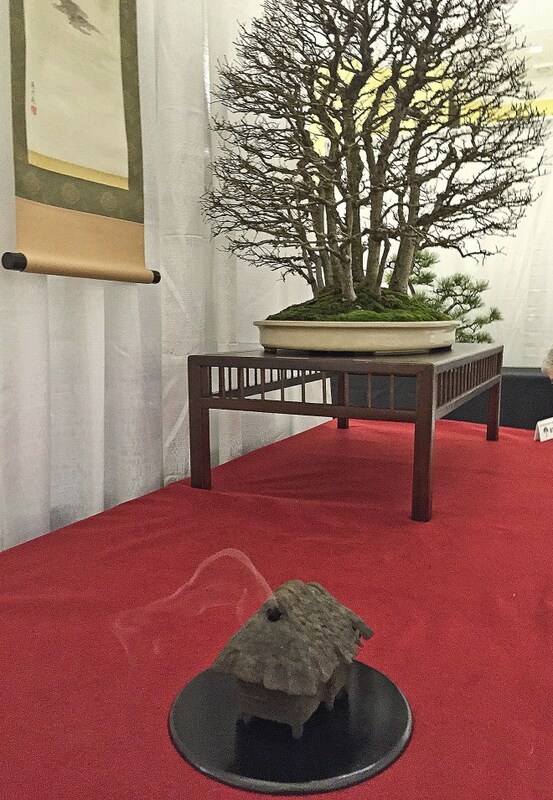 Here is a link to the latest post from Mr Coffey in his saga at Aichi-en. Author africanbirdingPosted on December 28, 2014 January 3, 2015 Categories UncategorizedLeave a comment on Tree the people. Great site. 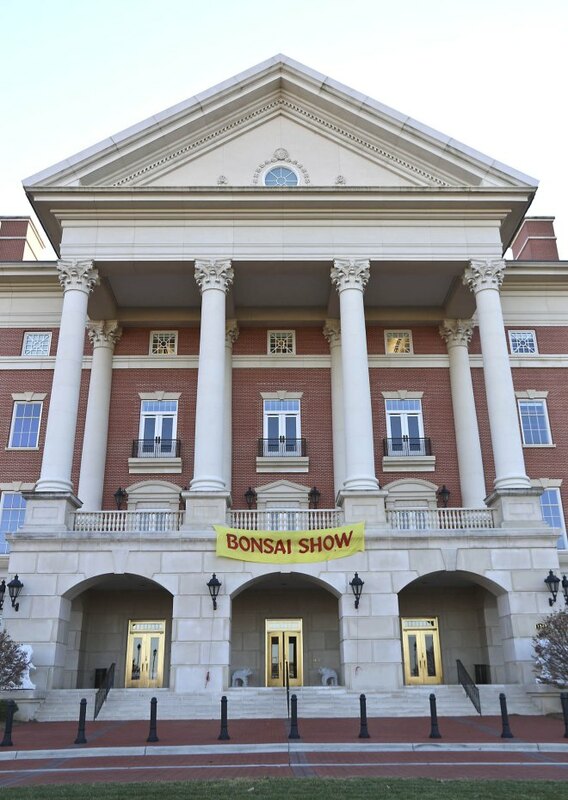 The second successful Winter Silhouette Bonsai Expo was held on December 6-7, 2104, in Kannapolis, North Carolina. 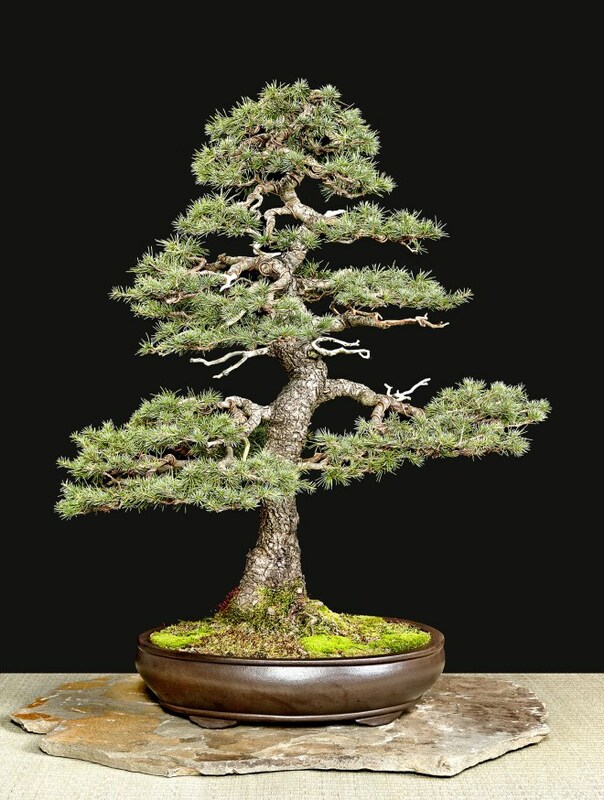 The event was organized and sponsored by Steven Zeisel, a bonsai hobbyist who wants to promote bonsai. 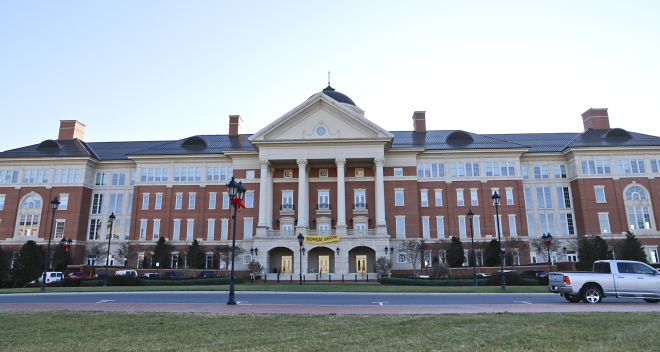 Supporters included the North Carolina Research Center and Convention Bureau. 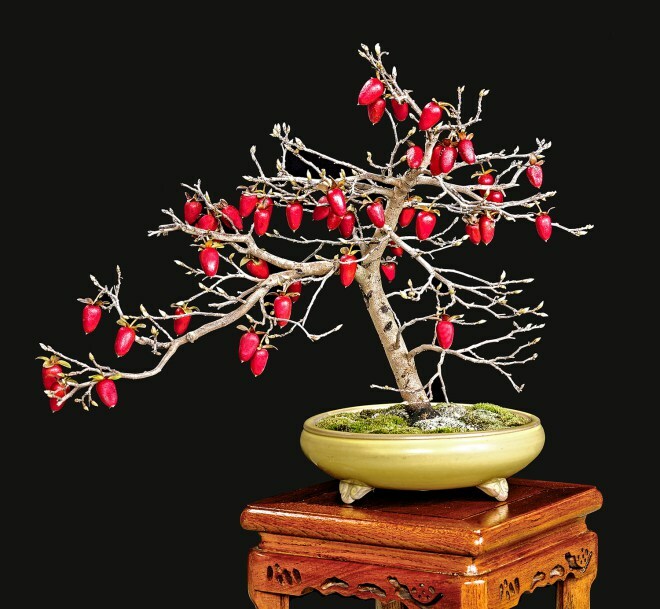 The entire weekend was free to exhibitors, vendors as well as visitors to the two demonstrations and critique. 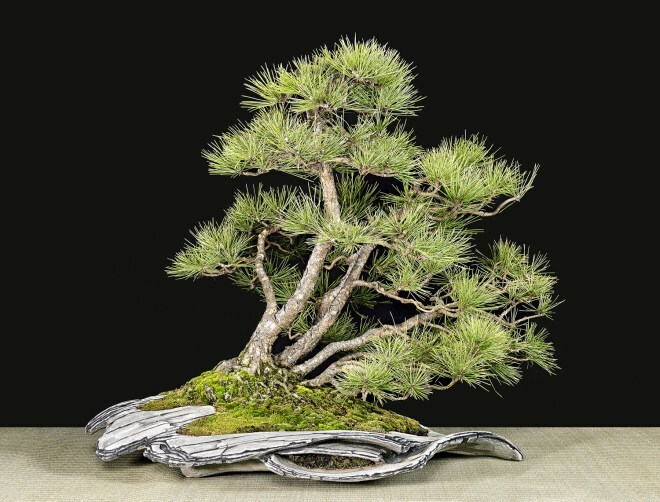 You can’t beat that price, especially for the quality bonsai on display, wide variety of items for sale, educational programs as well as being held in the unique building. 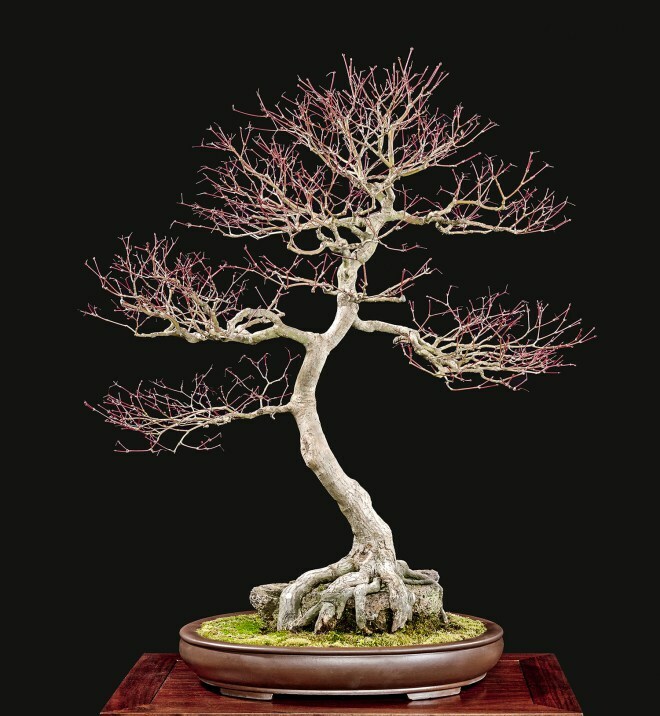 At the Winter Silhouette Bonsai Expo Joseph Noga photographed each tree with his large format digital camera and specialized lighting. 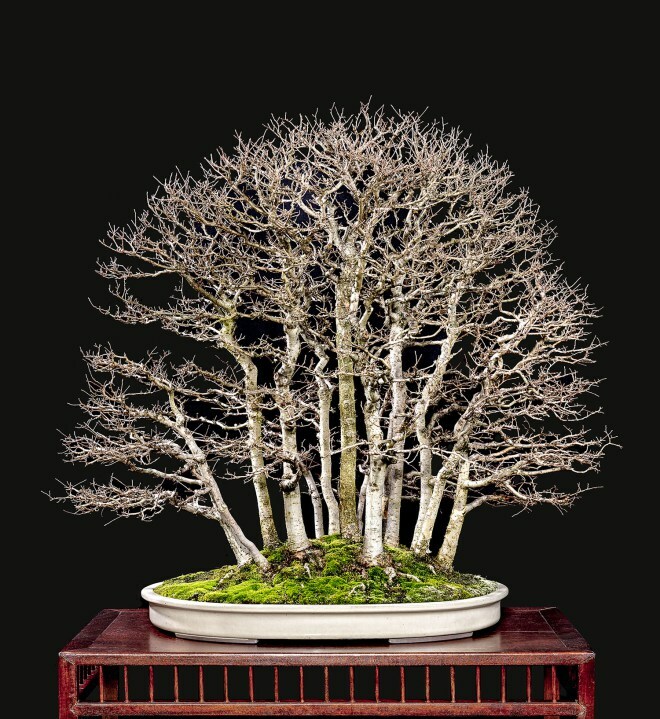 He had to rent a trailer to bring all the necessary equipment across the state of North Carolina to capture the beauty of the displayed bonsai. But, that’s just the beginning of producing a perfect photograph. Each photograph must be adjusted for perfection. And, adjusting the photograph depends on the final use, digital or printed. They must have specific profiles which depend on the paper, ink and press where they will be printed. 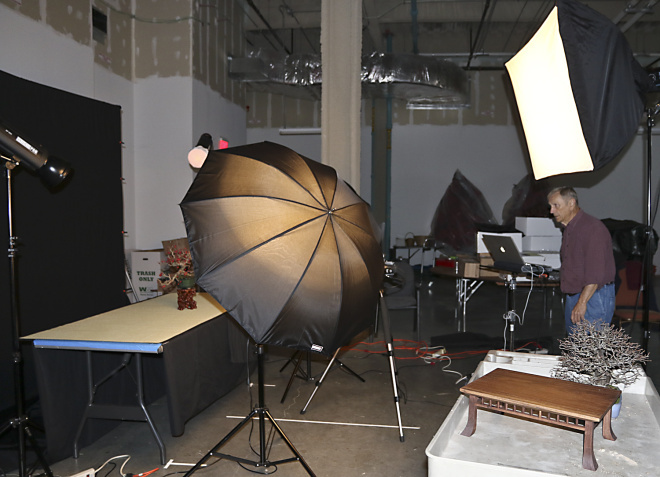 All of this takes time and skill, knowledge and dedication which Joe is well known for.